It’s hard to believe that this time last year I was ordering 10 OPIs off ebay for my own quiet and personal pleasure, with no thoughts of a stash count circa 500 or a blog, or followers, or crazy nail polish friends. To end the year in style, I thought I would share with you what the most popular posts have been since I really started doing this in August. Some of them I agree with, others, I have NO idea why they were so popular lol. Oh Beth will be so chuffed to have made the Top 10 !! 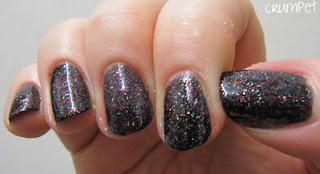 this is the franken we made together to dupe DL Candy Shop. Beth named it. It’s my most popular franken post, probably because of Candy Shop, and also because I used it for a PAA Monday Challenge, so it has had plenty of exposure. I think if you Google image DL Candyshop this also comes up – lol !! This was the 2nd of 2 posts I did on Fuchsia, and this is the non-swatch post. I wanted to see what Fuchsia looked like over other colours as it seemed so sheer. Oh, I’m sooooo pleased this is in the Top 10. I had such an enormous reaction to this post, so I know this was a really popular one. It’s also one of my favourite posts I’ve written – it’s useful, informative AND funny – the holy trinity! In fact, all of the 10 Things posts have been popular – I think they’re nice and bite-sized and easy to read. Thanks for making this one so popular. This one totally took me by surprise, and if I’m honest, it wasn’t till I started to get into the analytics of blog traffic that I understood why this post was so popular. 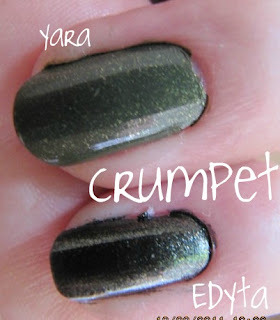 In actual fact, it’s quite a poor post, one of the early ones, sloppy photos and “no voice”, but the reason it’s so popular is that Zoya love their promos, and bless them, everytime they run one, people flock to Google images, and when they look for greens, my post is the one they seem to find. This was the first post that really made me understand the crazy power of the internet. Personally, this was not my favourite GG, yet it got a huge amount of hits – why? Well, I posted this just as Leah Ann’s site and page were taking off, and I don’t think there had been too many swatches of this up til that point. I got over 100 hits overnight, and yet hardly any extra followers! Well, you’d expect a Giveaway to rank highly, wouldn’t you? I think I gained about 50 followers on FB and the blog from this Giveaway, so it was worth it, and even better, my numbers didn’t drop right afterwards. Wow, this post went very very crazy. 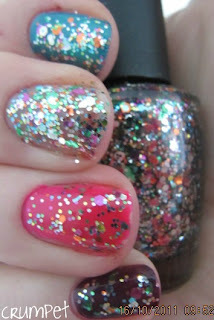 I wrote it, and didn’t think it was a special post, and I wasn’t wholeheartedly in love with the polish either. It did however feature better photography, when I discovered the utility room made a great photo studio! 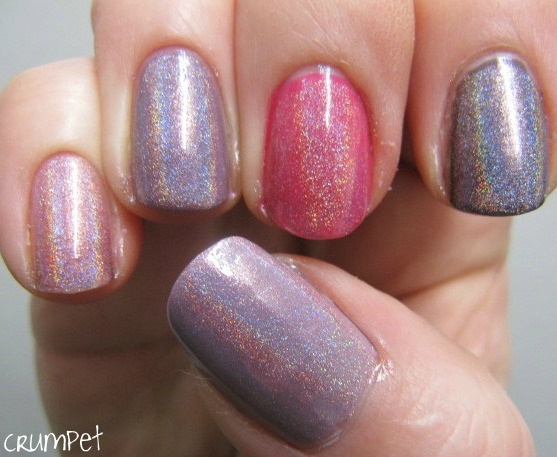 What pushed this post into the stratosphere is that it was one of the first swatches of this polish, and for 2 weeks afterwards, it was the No1 result on Google images – kerching! Not only that, I had about 5 photos on the front page of Google images, so if anyone was googling this baby, they had no choice but to run into my post! It’s slipped a little in the Google image stakes recently, but I’m still getting 20ish hits a day from it. 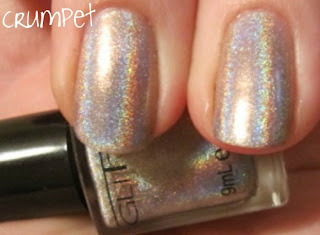 I guess it’s fitting that an OPI post should be the most viewed, given how OPI kick-started my polish rebirth. This post just went CRAZY and again is testament to the power of the internet and good ole Google images! At one point, this was getting 50+ hits a day, although it has slowed now to about 15. Again, it had high placement on Google images, with about 3 photos on the front page. Again, it was posted very quickly after the launch of the polish, which I am sure contributed to its success. I think the main factor though is that my pics all had this polish layered over something else, so in a sea of Google images, they REALLY stood out, and showed that the polish had a different dimension. I think it’s the teal photo which has the highest ranking – and that was a particularly good combination. 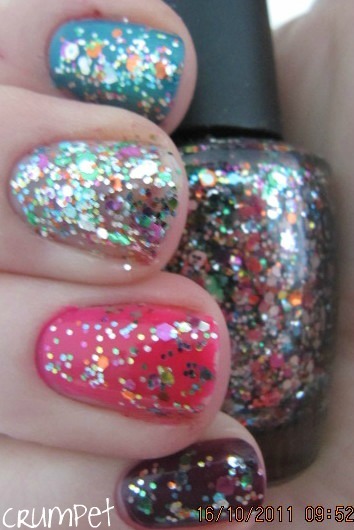 What’s interesting is that this polish was posted at the same time as all my other Muppets swatches and yet they had “normal” numbers. 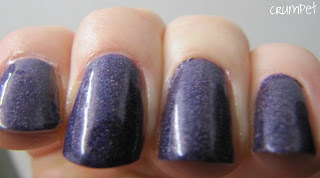 I get that this was probably the sexiest polish in the collection and the one people most wanted to see, but other than that, it must be the layering that powered it up the ranks. So there you have it – the most popular posts of 2011. It doesn’t include (though it did until recently) some of my favourite posts, and to be honest it only includes 1 colour that I LOVE (Lady of the Lake) – how IRONIC is that? Does this mean I should only post polishes I feel meh about? Oh no! It also only includes 2 posts I feel shows off my writing. The lesson ? People like the pretty pictures! !